Players are expected to wear traditional golf attire on and off the course. Golf shoes with non-metal spikes and collared shirt are required. 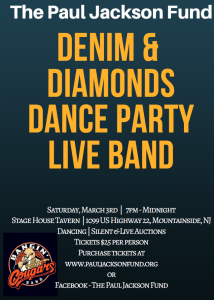 Jeans (including designer jeans), t-shirts, cut-offs, gym shorts, and sweat suits are not permitted. Players not properly attired will be refused play. The dress code also applies to the club house, and guests not properly attired will be refused admittance. To ensure your position in the Hope Classic, your check must be received by September 24, 2017. 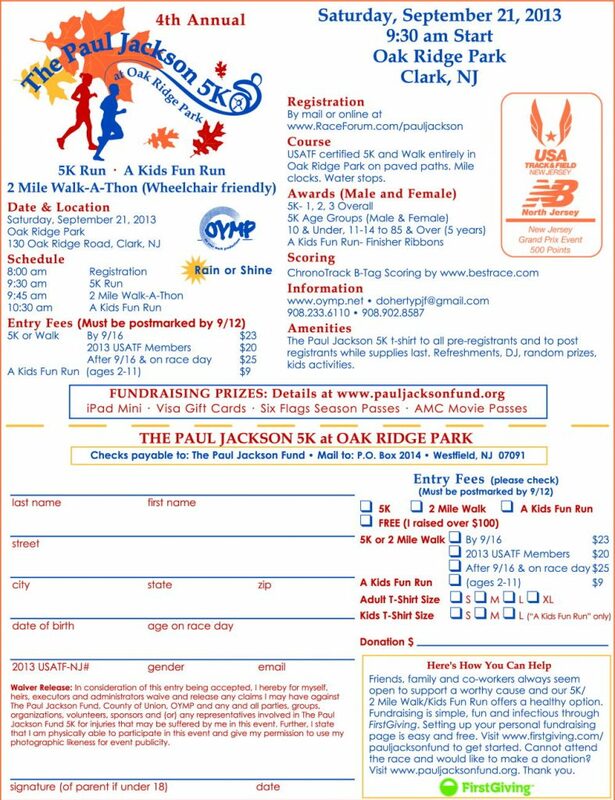 Please register below, and make checks payable to The Paul Jackson Fund, and mail to: P.O. Box 2014, Westfield, NJ 07091. 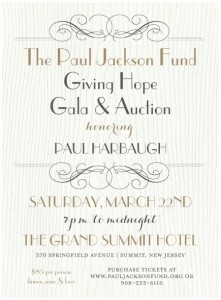 Bronze Level Includes 1 ticket to the gala, 1 half page in ad journal, recognition on website and annual newsletter. Silver Level Includes 2 tickets to the gala, 1 full page in ad journal, 1 table sponsorship, recognition on website and annual newsletter. 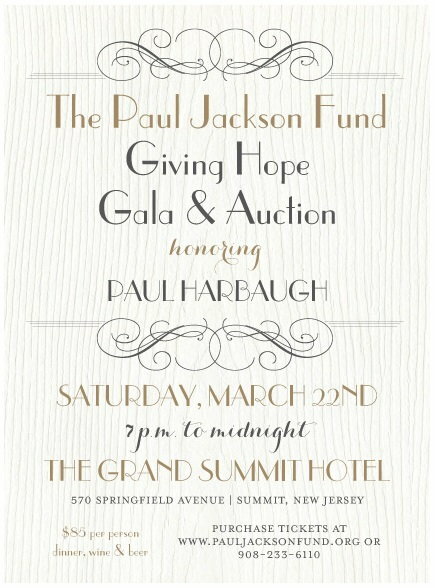 Gold Level Includes 4 tickets to the gala, 1 full page in ad journal, 2 table sponsorship, signs prominently displayed in cocktail reception room, recognition on website and annual newsletter. Platinum Level Includes 6 tickets to the gala, 1 full color page inside ad journal, 3 table sponsorships, signs prominently displayed in cocktail reception room and in main ballroom, recognition on website and annual newsletter. Once you submit this form, you will be redirected to our payment page where you can choose to pay either by check or via online payment using PayPal or credit card. List first and last names of all guests for whom you are purchasing tickets - please list as you would like them printed (Note: tables seat 12 guests): 1. 2. 3. 4. 5. 6. 7. 8. 9. 10. 11. 12.